Public Ad Campaign: Prince Media Keeps Illegal Sign Locations Visible With Art, Until They Don't. 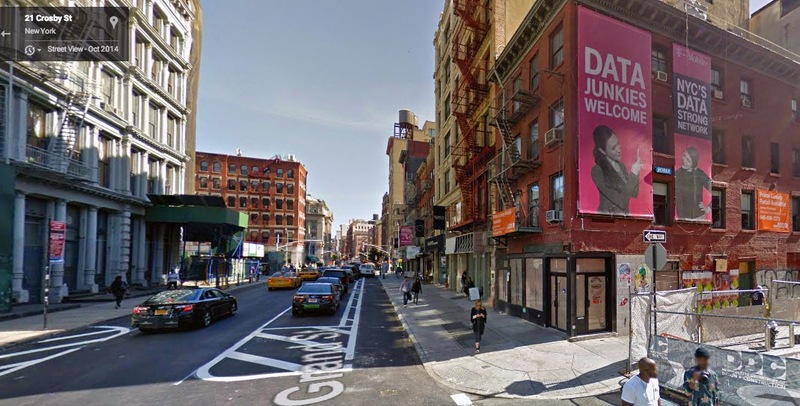 Prince Media Keeps Illegal Sign Locations Visible With Art, Until They Don't. 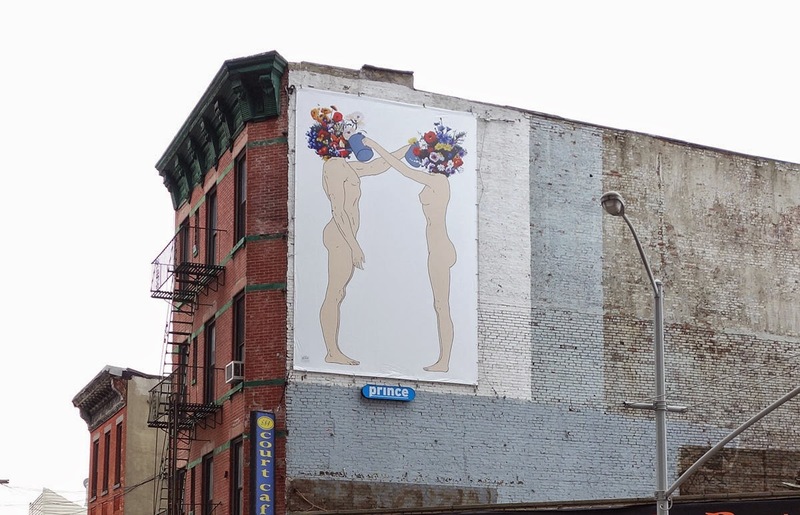 Mark Samosonovich has some great new images up in Manhattan, (above) and Brooklyn, that will lighten your day and make you think at the same time. They are the kind of selfless public art that one wants to see everywhere. In fact there isn't even a name to distinguish who the artwork is by, and its this anonymity which makes these works a pleasure to take in. That said, all of these artworks went up at the same time, in places where Prince Media once ran advertising. The coincidence seemed worth looking into because I didn't know too much about this particular "boutique" billboard company, and hey..that's what we do. In the past I have come to find that behind many, if not all "donations" of outdoor advertising space to artists and thier work, is a self motivated billboard company getting more from the deal than thier altruism would like to reveal. 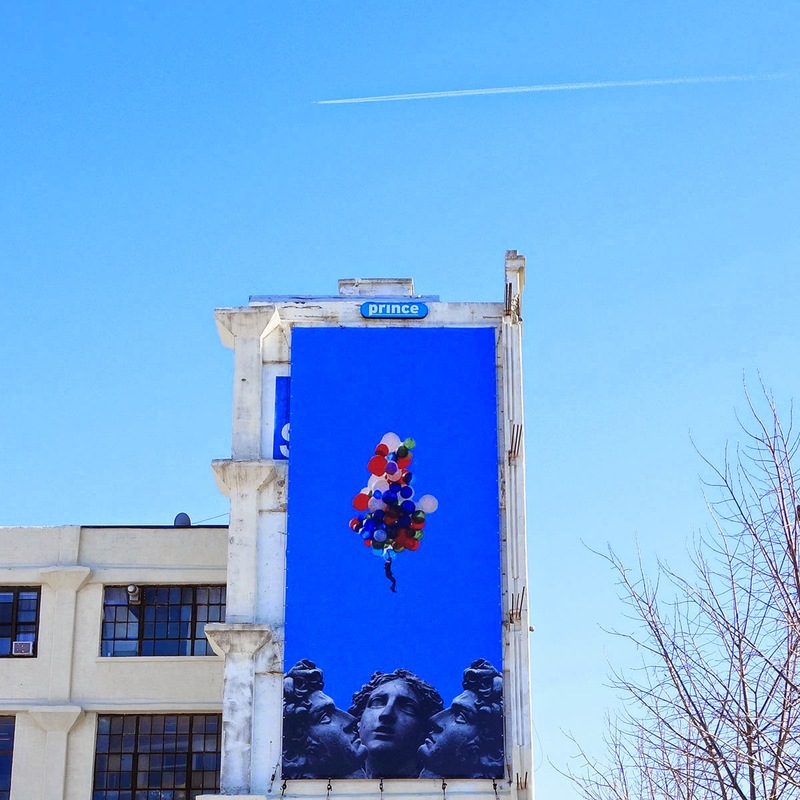 Tax deductions, percent for arts programs, and simple lack of business, can all motivate an outdoor ad company to "give" some of thier space to the arts. In fact a lack of commercial clientele is often a motivator for art in public spaces as companies attempt to keep thier stock lively and with content, when business slows down. None of these reasons make outdoor advertising companies look particularly kind, but aren't all that outwardly devious either. Once a sign is found and a violation has been placed on the building to which the sign is attached, things become a little more serious and continuing to run commercial copy can be a bad idea for business. It is at this point that many outdoor advertising companies, and I believe in this case, Prince Media, offers the space to an artist. 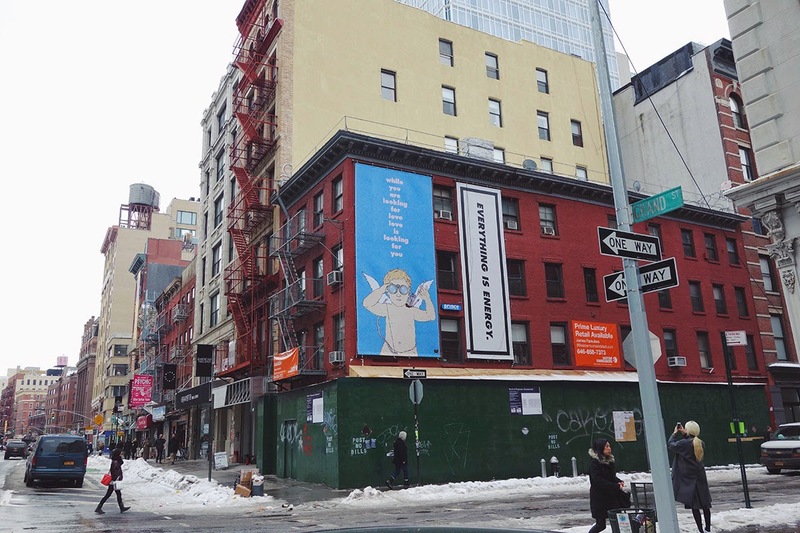 Art, not needing a permit, does not accrue more violations, allowing the sign to remain "active" while the company resolves the violation and any fines associated with it. Once a resolution is complete, its back to business as usual, and no more art. What in the beginning looked like a neighborly gesture, turns out to be a self interested ploy to keep potential clients aware of advertising infrastructure while violations and illegal activities are negotiated in court, tying up tax dollars and the DOB legal team. It is this type of false altruism that I continue to see practiced by the outdoor advertising industry that fuels my belief that monetizing our public walls is inherently problematic for a city. Leaving companies, whose intention is to make money from public eyes in public space, in charge of who gets access to our shared walls, does not work. The motivations are simply misaligned with the public's interests.